The most popular choice in Weddings and Proms. 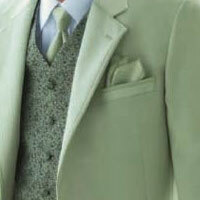 White Rental Tuxedo Jackets Makes a statement, especially when worn with contrasting pants. 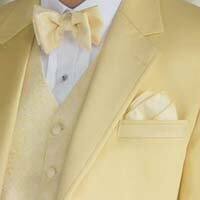 Ivory Rental Tuxedo Jackets Mix it up with Chocolate or Black Pants if you like. 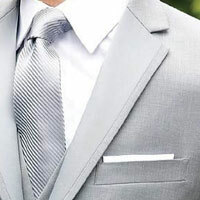 Grey Rental Tuxedo Jackets Grey is the "New Black" for tuxedos in Weddings. Brown Rental Tuxedo Jackets Chocolate is used most for Fall Weddings. 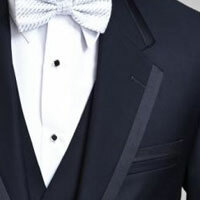 Navy Rental Tuxedo Jackets Navy is becoming more popular for the upcoming year. Tan Rental Tuxedo Jackets Destination Beach Wedding time! The following tuxedo categories feature our most colorful tuxedo styles, featuring the colors you want and several others you may have not expected! 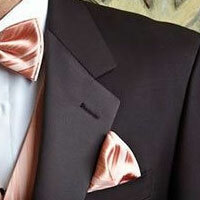 Our selection of colored tuxedos is sure to satisfy anyone with a curious or defined taste in formal wear style. 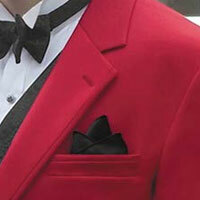 Red Rental Tuxedo Jackets Can you get any louder! I am in the room! 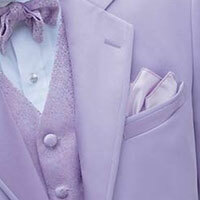 Lavender Rental Tuxedo Jackets Don't be scared of color. Mix it up with contrasting pants or matching. Blue Rental Tuxedo Jackets Don't be scared of color. Mix it up with contrasting pants or matching. 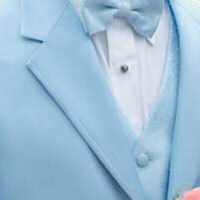 Mint Rental Tuxedo Jackets Don't be scared of color. Mix it up with contrasting pants or matching. Maize Rental Tuxedo Jackets Don't be scared of color. Mix it up with contrasting pants or matching.